Recently I’ve been running myself ragged carrying a toddler and working like a dog so I couldn’t be more in need of a spa day. So I absolutely jumped at the chance to check out the new holistic day spa that has opened in Rhiwbina Cardiff. 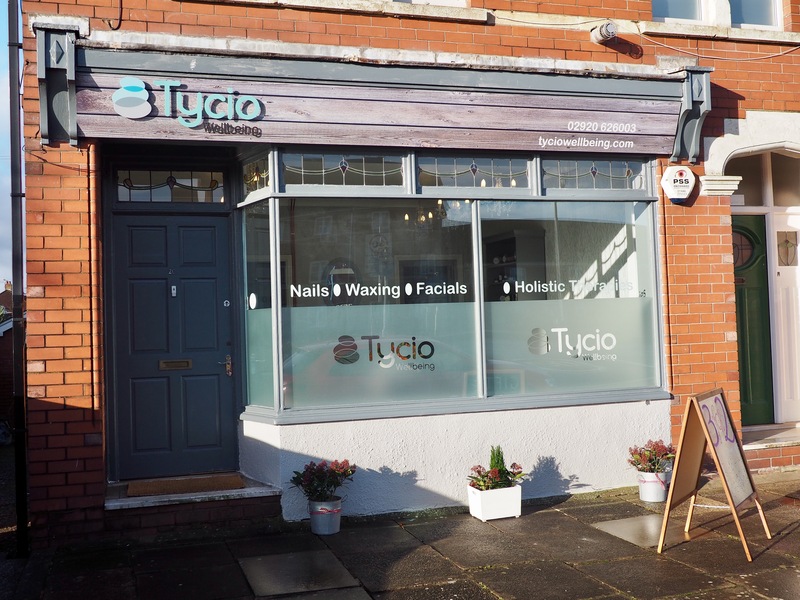 Tycio (pronounced tea-seeo) Wellbeing Beauty Salon and Spa is in Rhiwbina. For those of you that live in Cardiff, it’s actually just past the Lidl in Llanishen. It opened last December. Louise Hingley who runs Tycio, was inspired to start her own spa after she tried to book a spa day for her mum who was undergoing chemotherapy. None of the spas she contacted would let her book in while her mum was in the middle of chemotherapy. I was surprised to hear this, surely salons should be welcoming cancer sufferers with open arms. So Louise took matters into her own hands and started one herself. I think that that’s a really lovely idea, surely when you’re being treated for cancer is the time you need pampering the most. Tycio means “Prevail” or “Succeed” in Welsh, I think that’s really sweet. And holistic therapies, such as reflexology, Hopi ear candling, Reiki, Indian head massage. The spa’s focus is on the holistic healing therapies. 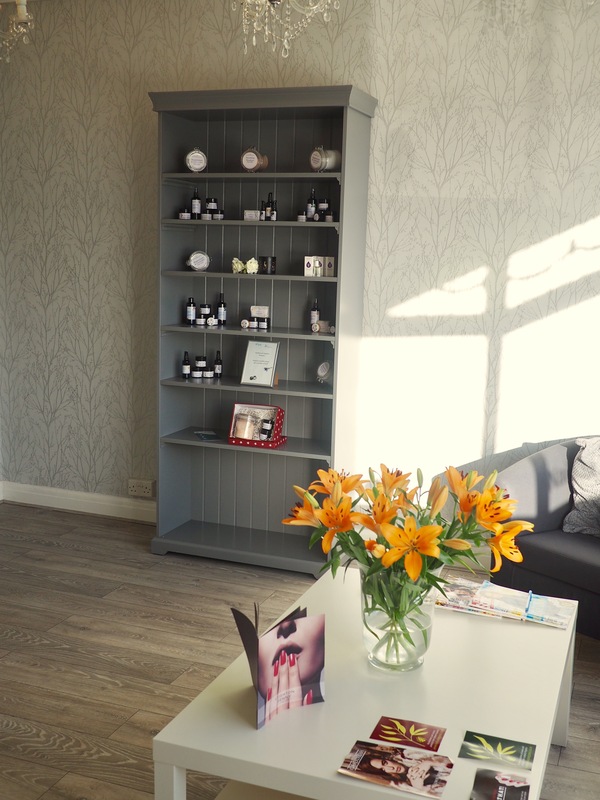 The prices range from £8 for a brow wax to £55 for an aromatherapy massage. The décor is elegant grey painted wood and chandeliers. I think the colour grey is so chic. The vibe is fancy and welcoming. I was shown to the relaxation room to change into a gown and slippers. There’s a selection of drinks and heated loungers so you can hang out and chill. It’s a lovely space where you could totally relax or have a reclined gossip, if you had a spa day with your mum or a pal. I was fortunate to have 2 treatments during my visit to Tycio- a luxury facial and reflexology. The therapist Shirley was very nice and we had a good chat before the treatment. The chat stopped during the treatment. I can’t be doing with conversation during a massage, I once had a beauty therapist tell me in gruesome detail about her traumatic child birth during a facial, it was less than soothing. If you didn’t know, Reflexology is a system of foot massage for relaxation and healing. Each area of the foot relate to a different part of the body e.g. The big toe is your head. So if there is any firmness or crunchiness in a particular area that indicates a problem in the corresponding body part. The treatment was extremely relaxing. I’m fairly sure I fell asleep and made a falling asleep noise (you know what I mean, like a “muhh” noise), it was a little embarrassing. But she asked for it really, putting me in a fluffy robe on a soft heated bed and rubbed my feet. Sleep noises were inevitable. I wasn’t expecting any magical healing from the reflexology but at the end Shirley told me she had detected issues with my right shoulder and sinuses. The only things I have wrong with me at the moment are a persistent cold and muscle strain in my right shoulder from lugging said toddler. So that was quite spooky. I’m a science person and don’t believe anything unless there has been published evidence, but she got it spot on. The Luxury Facial was lovely. It was your standard facial experience- a lady applies things with different textures, temperatures and aromas to my waiting face. I love a facial treatment, I love the way my skin feels afterwards, so clean and moisturised. She used this Honey Mud mask which smelled like nothing else. It contains mineral rich green clay and skin brightening vitamin C.
Tycio Wellbeing uses Earthbound Organics Skincare in their facial treatments. I’m quite excited about Earthbound Organics. All the products are made by a lady in Llandrindod Wells by hand. She grows the ingredients herself and makes her products in her own workshop. They contain no preservatives or unpronounceable chemicals just natural extracts, oils and beeswax derivatives. All the products I experienced smell amazing. I bought the Earthbound Organics Jojoba and Vitamin E Cream. I’ve been using it on some dry patches I have been suffering. I used it twice on an itchy rash I had on my neck, the rash was gone in a day. It smells divine too, like orange blossom. I would thoroughly recommend a visit to Tycio Wellbeing Beauty Salon and Spa. I felt so relaxed and renewed when I left. 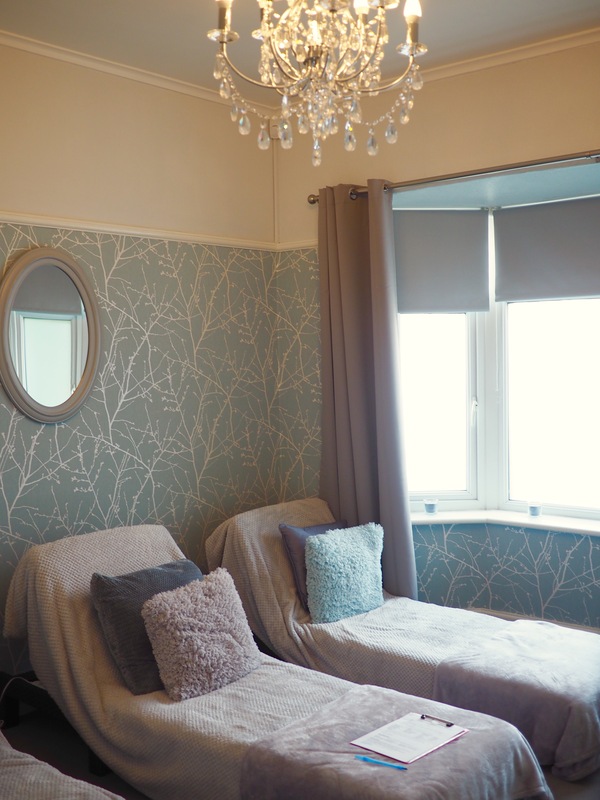 It’s a lovely place to come and feel pampered and cared for. You know you have had a good spa day when you leave feeling a bit sheepish for making sleep noises in front of a stranger. Tycio Wellbeing does a range of treatments and packages that would make a great gift (it’s valentines day soon y’know 😉). Treatments are available for pregnant ladies and cancer sufferers. Check out TycioWellbeing.com for more information. 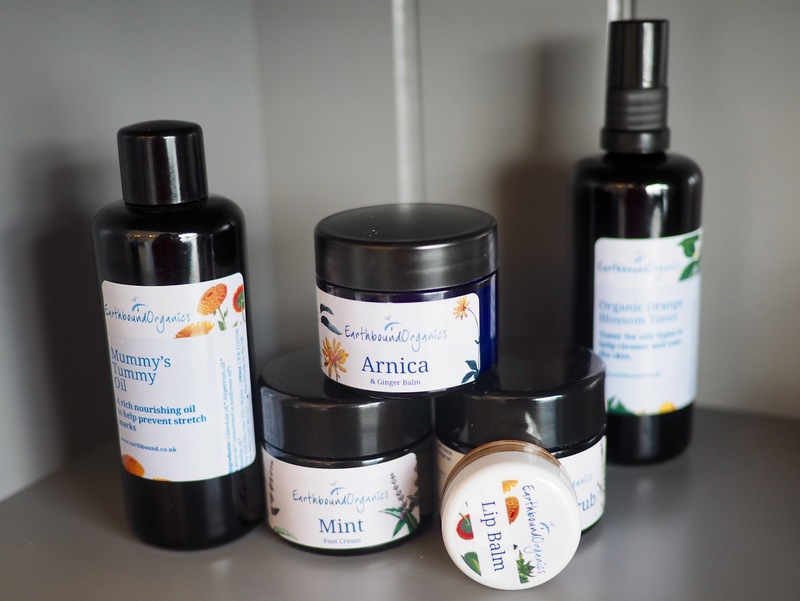 Also have a look at EarthboundOrganics.com for luxurious beautifully smelling organic skincare.